good improvement. I have sent you some perspective assignments. replicate them and submit. Create a 3d composition using a cofee mug, a computer mouse and 2 big books and submit your drawing. Nice improvement in 2 d composition. for 3d composition i will be send ing you some 3d samples. replicate any 2 0f them and submit by 13th april 2009 before 5 pm. Redo the assignment. 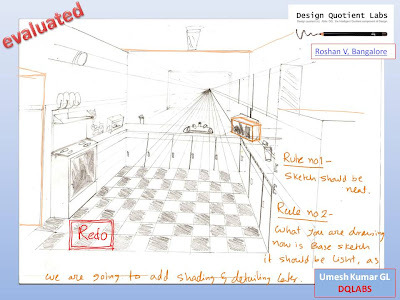 check out Mehers and Razzias sketches. submit hte drawing by 2nd april 2009 5 pm. compose a 2d drawing using numbers 3, 6 and 0. use each number as many times as required , however each number should be used atleast once. write down the logic behind your composition and how you are trying to follow the design principles to create an aesthetically pleasing composition.submit the assignment by 5 in the evening of 1st April. Please read the design principles thoroughly and try to implement the concepts. use - principles of Balance (symmetrical / assymetrical), variety, contrast, harmony, unity and repetition of elements ( shapes and color). i will send you a work sheet. Answer it and send it back to me. i will check your understanding of these concepts. Task 1 - Study design principles chapter and answer the work sheet. Task 2 - compose a 2d drawing using numbers 3, 6 and 0. use each number as many times as required , however each number should be used atleast once. write down the logic behind your composition and how you are trying to follow the design principles to create an aesthetically pleasing composition.submit the assignment by 5 in the evening of 30th MArch. make a 2 d composition using 6 asterisk and 5 star shapes. color the drawing with 2 colors. 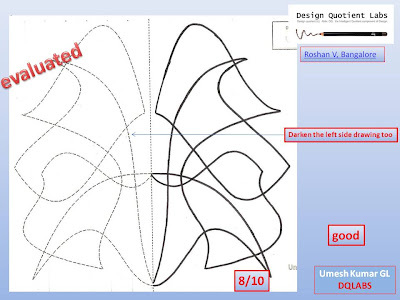 implement the feedback given below in your new sketches. submit them by tommorow 27th march evening 5 pm. for theme sketch, i will send you some images. replicate them and submit. for 2 d composition create 2 more combination. give due attention to the pockets of spaces created between these shapes. try to make these spaces look pleasing or interesting by the way you compose your shapes. make this attempt. if you cannot get get it i will guide you based on your submitted assignment. submit it by tommorow evenng. read chapter2.01, 2.02, 2.03 and make a visually pleasing 2d composition using 2 circles, 4 squares and 3 triangles. the shapes can vary in size. how ever they should not overlap. use an intersting color combination using 4 colors. submit the drawing by 26th march evening. use the below doodle as a reference and redo your sketch. submit it by 17th feb.
now draw a scene of a lakeside park and draw human silhoutes in different postures. submit it by 10th feb. Draw 4 stick figures (in light lines) with sillhoutes as mentioned in the feedback. 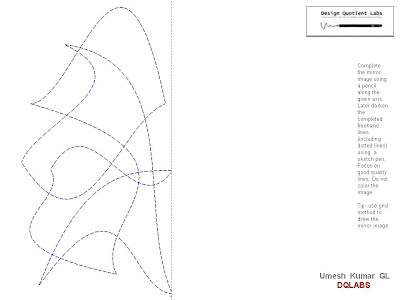 submit them by 3rd feb. try to draw the sillhoutes(in dark line) as neatly as possible. Let us do some intensive excersices on Human drawing. your first target is to draw well proportionate stick figures. follow the feedback and submit atleast 10 stick figures doing different activities by 28th jan. give attention to the proportion of different parts of the body. 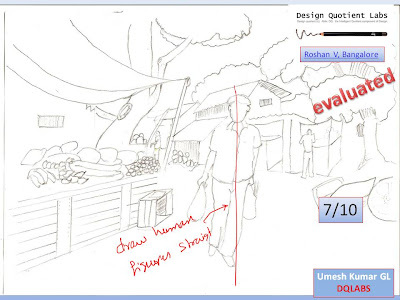 Submit the drawing of people send to you thru mail by 24th jan. also correct your perspective drawing. correct the drawing and add details as per the feedback and submit the drawing by 22nd jan.
implement the feedback and redo the drawing. 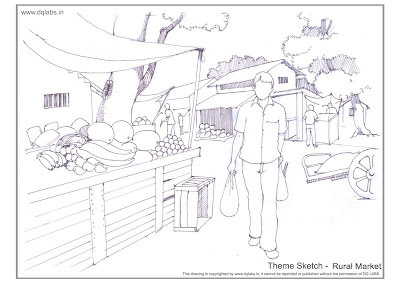 have a look at purnima bhaskarans theme sketch work. that should be your benchmark. implement the feedback and redo the hospital sketch. 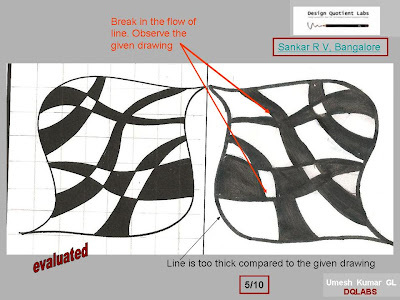 submit the drawing by 31st dec.
you need to take special care for your freehand lines. 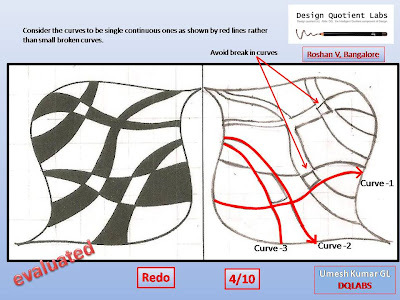 avoid all unnecessary thickening / doubling of lines that are not intented. 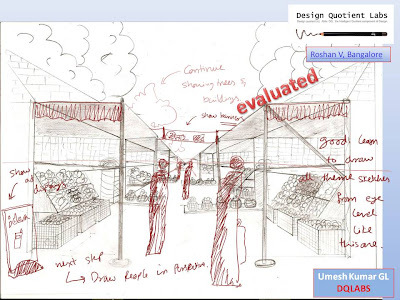 submit your theme sketch assignment. great JOb. your freehand and coloring skills are improved to the expected level. lets move on to the theme sketching. i have sent you mail about the next assingment. 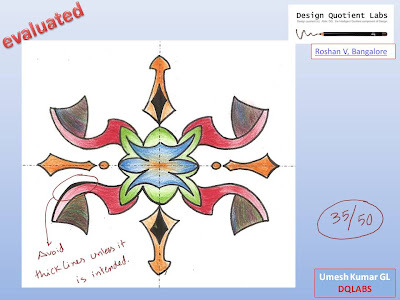 please submit it by 25th dec. Also attempt mock test 2 freehand drawing and submit it by tommorow. your drawing will be evaluated for 50 marks. do it implementing all the skills you have learnt so far. use crayons / pencils as above and color the same drawing in 3 different color combinations. each combination should have 5 colors. submit the assignemnt by 7th dec.
good job. lets go to the next stage- coloring. color the below drawing using 3 different color mediums. each combination should have 4 colors. send the assignments by 1st dec 2008.
submit the drawing by 26nov. 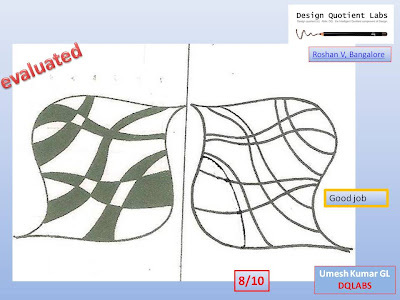 redo the above image with a sketch pen and submit the image by 20th nov.
congratulation. good improvement. please do the next assignment and submit by 16th Nov.
nice lines. now darken them using a fine tip black sketchpen. also check out rohits blog to see how he did the below 2 assignments. submit the drawings by 26th october. Dear Roshan, now you are on track. i have a couple of tips for you. 1. the reference lines you draw need not be too dark. they need to be as crisp and light as possible. 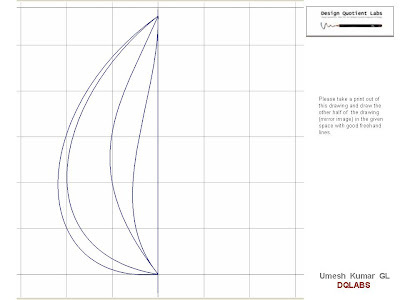 these are called construction lines and should capture the proportion and character of the curves. 2. use a black sketch pen and darken all the lines. this time give due carfe for line quality nad flow of lines. please do 2 daring of the above . one showing the constructions lines and the other showing the final lines drawn with a black sketch pen. so sumbit both the sketches by 1th of october. please follow the feedback and redo the assignment. 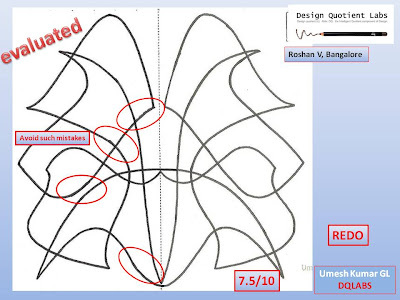 the curves should be freeflowing without any breaks as indicated by a red line in the feedback. if you have any doubts please write them down in the coments section. i wish to close this assignment in the next attempt and go ahead with other ones. so try to do it correct this time. submit the drawing in next couple of days. am still not satisfied with your drawing. i know you can do better. lets us crack this assignment step by step. you have a lot to learn from this assignment. please do the drawing without the black fillout. use only pencil. once you are done send me a copy of that by email and i shall give you further instructions. Why is your drawing so shabby and bad than the previous attempts?. PLease redo the assignment. Try understand the freehand drawing. there is a relationship between the lines. dont get defocused by the black areas. see the freeflowing lines instead. This time dont darken the spaces. just concentrate on proportion of spaces and line quality. submit your drawing by 1st August. 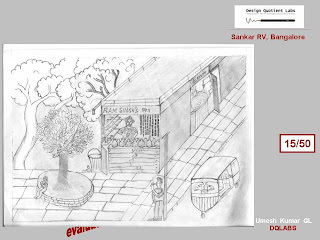 sir, im really sorry, i had actaully sent the drawings before...is this ur email id:sketchevalaution@dqlabs.in..?? we got your image. please send the freehand drawing also. yes sir definitely..i shall send it...in two days..
sir..wat is my next assignment? i submitted my assignment ...has it been evaluated..??? the last sketch i got from you was on october 26th. that had been evauared and uploaded in the blog. please do the next assignment as per the instruction and submit. 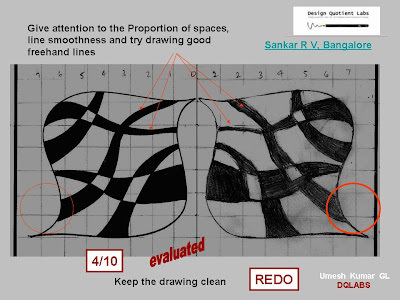 incase the instructions are not clear , you need to redo the drawing giving due consideration for the proportion of the spaces. The constituents of the bank have been uprooted for the justice and safety for the people. All the issues ache been engaged for the use of the https://www.aussiewritingreviews.com/aussieessays-review/ for the primal means for the humans. The safety is understood for the use of the norms for all ideal and wonderful stints for the humans. Arts are so special because it can attract the people arts are seems like it is original. 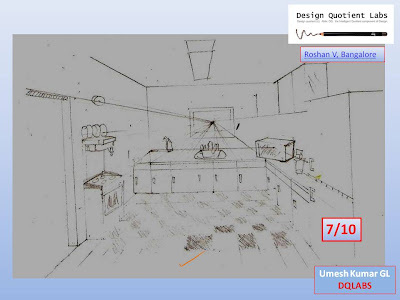 Architecture can observe the pitcher with studentwritingservices.com then he create its visual its looks awesome sketch are also best. 2019 Best smartwatches for women and men; our brand also includes children's smartwatch including GPS tracking so you can keep track of your little ones no matter where they are.